We leverage our vast experience and deep expertise to drive improvements in product performance and reliability. This is achieved through our extensive knowledge of computer aided design and simulation. 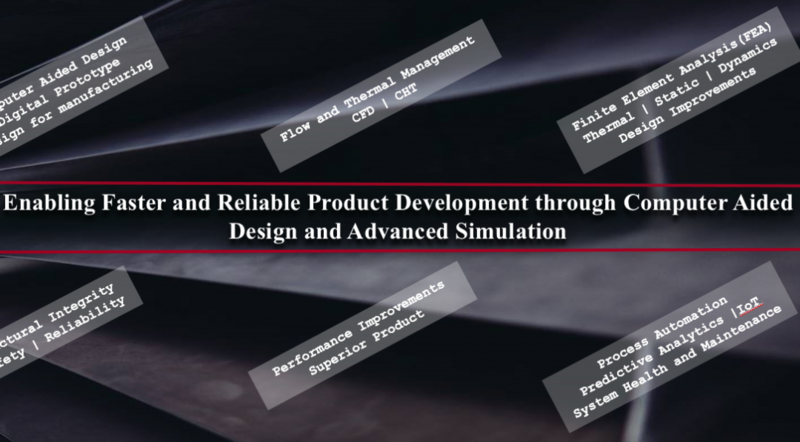 Our goal is to help your company develop superior products at a competitive cost through advanced integrated design and simulation. We provide CAD, CAE, CFD services for product design and development. We also offer system health monitoring and predictive maintenance analytics. We serve clients from small to large corporations. We have our niche in helping small and medium size industries to discover the power of simulation to drive product innovation.